The rugby league grand final is regarded as the sport’s ultimate contest. Since 1954, when the playing of a grand final became mandatory in the NSWRL, league fans have witnessed some of the most exciting matches in the history of the game… the great Souths teams of the 1950s; St George’s 11-year reign from 1956 to 1966; the dominance of Manly and Easts in the 1970s, the emergence of the Brisbane Broncos in the 1990s and the feats of the Melbourne Storm in the modern era. 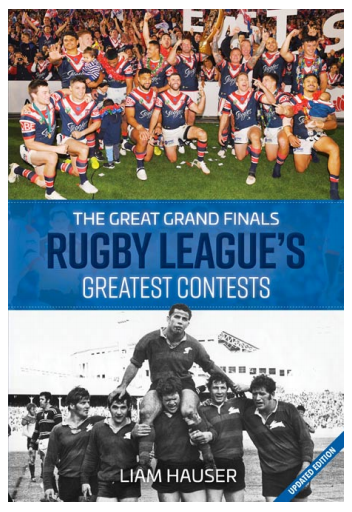 In The Great Grand Finals, experienced writer Liam Hauser covers more than 60 grand finals, highlighting all the champion teams, the great players and historic moments. With game summaries, key points, essential statistics and pages of great photos, this fully updated edition is the ideal book for any rugby league fan. Liam Hauser has been a sports journalist for a range of newspapers and online media in south-east Queensland and country New South Wales. He is the author of several books, including A Century of Cricket Tests and A History of Test Cricket published by New Holland. He continues to write about cricket, rugby league and other sports.